See TND540 GPS Value Pack Below! To ship to Canada, you must chose PayPal as your Payment Method. Add the item to the cart, then choose the Yellow "Checkout with PayPal" checkout method. PayPal will accept your Canadian Address. Within 14 days of Purchase or 5 days after delivery with 15% restocking fee. 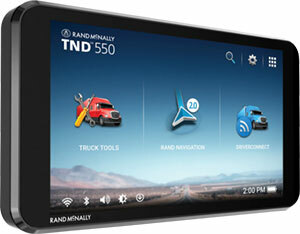 The Rand McNally TND540 features quad core processor, twice as much storage space, higher resolution screen and brighter display for easy to use for drivers. It also features millions of points of interest including travel centers, weight stations, truck services, parking and rest area and many more. With the Wi-Fi Connectivity the TND540 can access live traffic, up to date weather and fuel prices. It can also be updated over the air so no need to dock the unit. The TND540 comes preloaded with the Rand McNally DriverConnect app, so if you decide to purchase a compliant Rand McNally ELD device, you’ll be ready to go. For the Professional Driver who wants the Best, the GPS world has to offer Truckers. Rand McNally, the most trusted GPS System available, is enhanced w/ Roadwork™ construction updates, enhanced routing to save you time and fuel. Navigation experience is at its best w/ 3D Junction View, lane guidance, and enhanced speakers that are 2X Louder than the average GPS device. Rand McNally GPS for Truck helps you keep an eye on your profitability and alerts you when your speed is too fast or the posted peed changes ahead. How Cool is Traffic Everywhere? Traffic Everywhere helps professional drivers avoid costly delays with real-time and predictive analytics for the road ahead and will show what to expect before key junctions. Powered by INRIX, it offers complete coverage beyond major metro areas across highways, Interstates and local roads as well as major truck routes in rural areas. Traffic Everywhere is a premium service that will be available for purchase from the Rand McNally Dock. Access traffic information anywhere, anytime with a Wi-Fi® connection. Calculate a route around traffic and choose whether to stay on your current route or take the detour. Make informed decisions about when to get moving and which route to take based on advance warnings for major sporting events, concerts, and other scheduled events that can impact traffic. Traffic information must be received through a Wi-Fi® connection. User is responsible for all third-party data charges associated with Wi-Fi® transmission. Please note: No GPS is perfect. Please take a moment and read "Understanding the Trucker GPS". There is normally no returns on open electronics. However, we will wave that and allow a return for a Limited period within 14 Days of purchase or 5 days after delivery with a 15% restocking Fee. Note: Scratch or damage the GPS in any way and you bought it. There is a $100 manufacturer's fee for returning a GPS that is anything other than pristine new condition. Note*: The warranty does not include the glass face. See Trucker GPS Feature Comparison Chart. "Hi Frank thank you very much for your help I got GPS and I love it. Thank you Alex"
Please note: No GPS is perfect. Please take a moment and read "Understanding the Trucker GPS". There is normally no returns on open electronics. However, we will wave that and allow a return for a Limited period within 14 Days of purchase or 5 days after delivery with a 15% restocking Fee. Note: Scratch or damage the GPS in any way and you bought it. There is a $100 manufacturer's fee for returning a GPS that is anything other than pristine new condition. 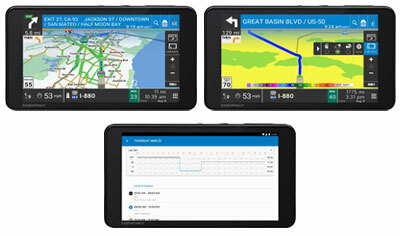 Note to You RVers: Check out the first GPS built just for you RVers. Of course it's by Rand McNally.